Rainbows are optical and meteorological phenomena that cause a spectrum of light to appear in the sky (mostly) when the Sun shines upon drops of moisture in our planet’s atmosphere. As the rays of light pass through the droplets of water, these droplets behave as a prism – splitting the so-called white light into different wavelengths.These rays take the form of a multicoloured bow, with 7 colours: red, orange, yellow, green, blue, indigo and violet (there are some interesting mnemonics to remember those, such as “Roy G. Biv” and “Richard Of York Gave Battle In Vain”). The thing is that these colours are not separated, as is traditionally believed. Actually the rainbow spans a continuous spectrum of colours. 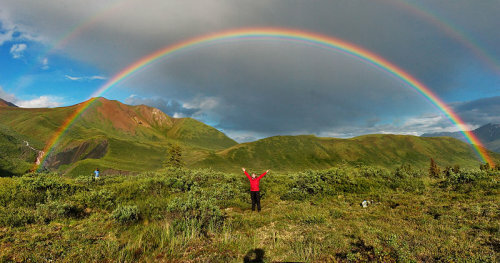 The rainbow is formed through what is called dispersion of sunlight; dispersion causes the spatial separation of a white light into components of different wavelengths (different colors). The light is first refracted as it enters the surface of the raindrop, reflected off the back of the drop, and again refracted as it leaves the drop. The angle is independent of the size of the drop, but does depend on its refractive index – because different wavelengths have different refractive index, they come out in a slightly different position. This is visible to the naked eye by a misalignment of these bows. 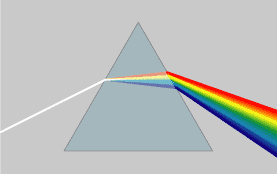 Example of a prism. Image via Wikipedia. 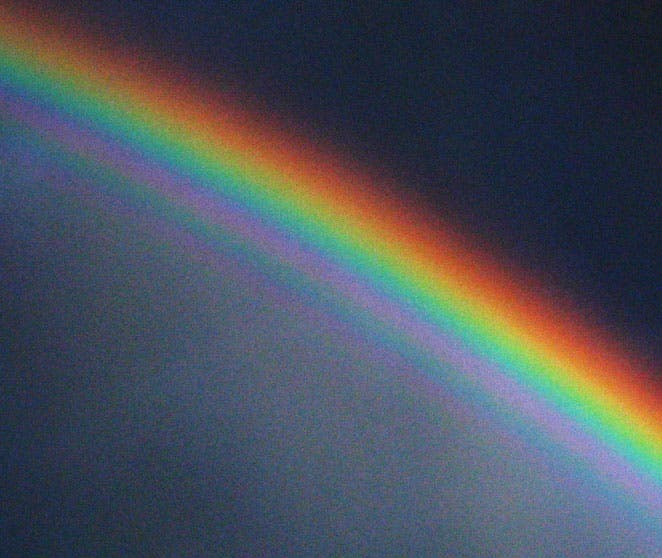 Now that we know how rainbows form, you should also know that there are more types of rainbow than the classical one. Sure, almost everytime we see the upside down smile, but those are called basic, primary rainbows. There are also secondary rainbows. 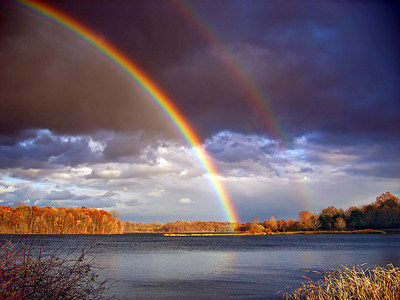 They are caused by a double reflection of sunlight inside the raindrops, and appear 10° outside of the primary rainbow. This can be repeated several times and you could end up with multiple rainbows, though they almost never go past secondary. 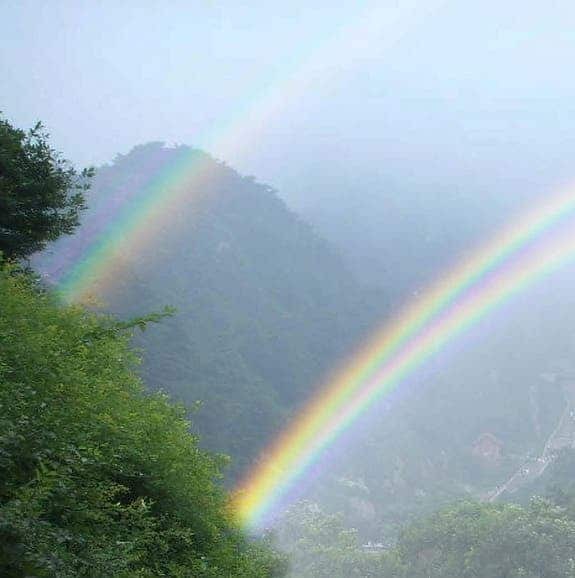 These are another type of rare rainbows, forming on the inner side of the primary rainbow, and very rarely also outside the secondary rainbow. Supernumerary rainbows are slightly detached. They are formed as a result of interference between rays of light following slightly different paths with slightly varying lengths within the raindrops. Basically, some of the rays are in phase, but others are out of phase by up to half a wavelength, cancelling each other out through destructive interference, and creating a gap. Supernumerary rainbows are clearest when raindrops are small and of uniform size. 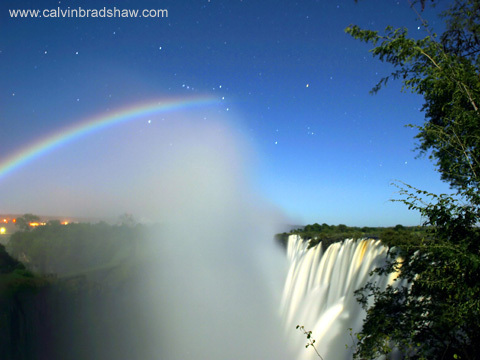 There are also Moonbows (created with light reflected from the Moon, not coming directly from the Sun), cloud rainbows (rainbows visible on clouds), monochromatic rainbows (with a single color) and full circle rainbows. The only other body from our solar system thought to have rainbows is Titan, Saturn’s Moon.